As Rajinikanth announced his decision to enter politics this morning, he had flashed the symbol. Rajinikanth said earlier, "If we go for a war, we ought to win". Chennai: Superstar Rajinikanth's call for a change in Tamil Nadu, coupled with his promise of a "spiritual political government" saw the resurgence of a yogic mudra -- a symbolic hand gesture -- used in one of his films. Fans rushed to use the symbol on their profiles on social media. By afternoon, it was all over Twitter, Facebook and Whatsapp and a buzz had started was on that it is likely to be the symbol of his new political party. The yogic hand symbol -- which shows a raised forefinger and little finger, with the tips of the middle finger, ring finger touching the thumb -- was first seen in the posters of "Baba", a runaway hit of 2002. With Rajinikanth in the lead role, the film was about a reincarnated yogi. An atheist in his current birth, he finds his way to spiritualism after several twists and turns. As Rajinikanth announced his decision to enter politics this morning, he had flashed the symbol. Later, he said, "We should bring a spiritual political government which is honest and free of caste politics. This is my aim." 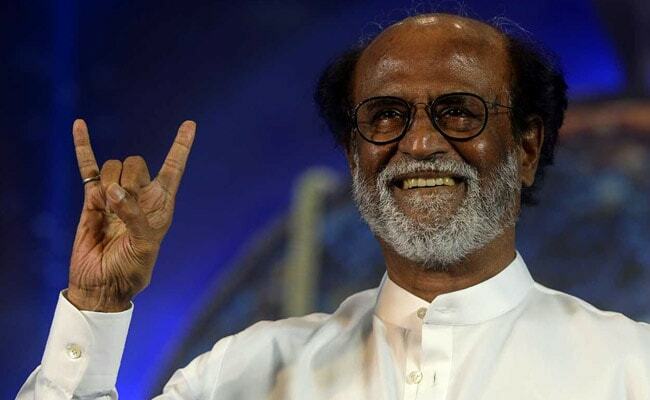 While the 67-year-old star, whom his followers have dubbed Thalaivar, meaning the "ultimate boss" is yet to comment on whether the mudra would be his election symbol, he threw some light on what he meant by a "spiritual government". After returning to his Poes Garden home, the posh Chennai area that was home to former Chief Minister Jayalalithaa, he said, "By spiritual I refer to a free and fair government". Rajinikanth's entry into politics has been long awaited, its pit-stops the tantalising hints from the actor. Tamil Nadu has been a state where matinee idols have quit the silver screen to become colossal political leaders -- the biggest examples being AIADMK founder MG Ramachandran and his protege and former Chief Minister J Jayalalithaa. DMK chief M Karunanidhi had been a successful screenwriter. Recently Kamal Haasan too had announced his intention to join politics. But the 67-year-old made it clear a few days ago that he did not think it was a step to be taken lightly. "I am hesitating about joining politics since I know the difficulties. If we go for a war, we ought to win," he had said, underscoring the importance of strategy. Today, while making the announcement, Rajinikanth, born Shivaji Rao Gaekwad, said it was not love of power that drew him to politics but the current situation in Tamil Nadu. The Chief Minister's post, he said, had "come" to him a long time ago, but he "kept away". "Over the past one year, the events in Tamil Nadu have put the state to shame. 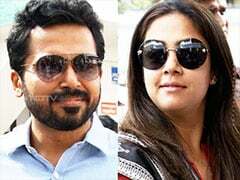 People are laughing," he said in an indication of the political turmoil since the death of Jayalalithaa last December. "If I don't make this decision now, then I would let the people down... the guilt will haunt me". Since Jayalalithaa's death, the ruling AIADMK was split following a struggle for power. But after the two factions, led by Chief Minister E Palaniswami and O Panneerselvam patched up, the "merged" party was rejected by the voters in the recent by-elections in Jayalalithaa's seat RK Nagar. Sidelined AIADMK leader TTV Dhinakaran, who contested as an Independent, won with a huge mandate.